While salary rates are typically important aspects that you would consider before taking a job, nonprofit insurance in New York City is another important element to consider. Affordable nonprofit insurance can help you boost employee morale as well as attract new hires. There are a few ways in which you can go about providing health care, and one of them is group health insurance. 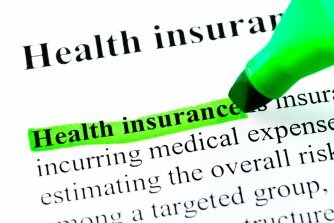 Continue reading if you would like to take a closer look at group health insurance. Group health insurance may cover a full-time employee as well as his or her family members. This can make for an excellent bargaining chip when you need to recruit new employees. It also allows your employees to benefit from quality medical care, so they can return to work quickly should they sustain some sort of injury. They will be eager to do so because they will be appreciative of their jobs. Group health insurance can help you hold onto your trusted employees and prevent them from taking a different job, especially if the other opportunity offers benefits. If an organization that has more than 50 full-time employees does not offer health benefits, the company can be penalized.